One is the iconic Californian brand whose cult collaborations since their 60s inception include everyone from Madrid Skateboards to Coors beer. The other is a husband-and-wife design duo whose rule-breaking prints have seen them build a design repertoire that includes commissions from the likes of Marc Jacobs and Alexander McQueen. 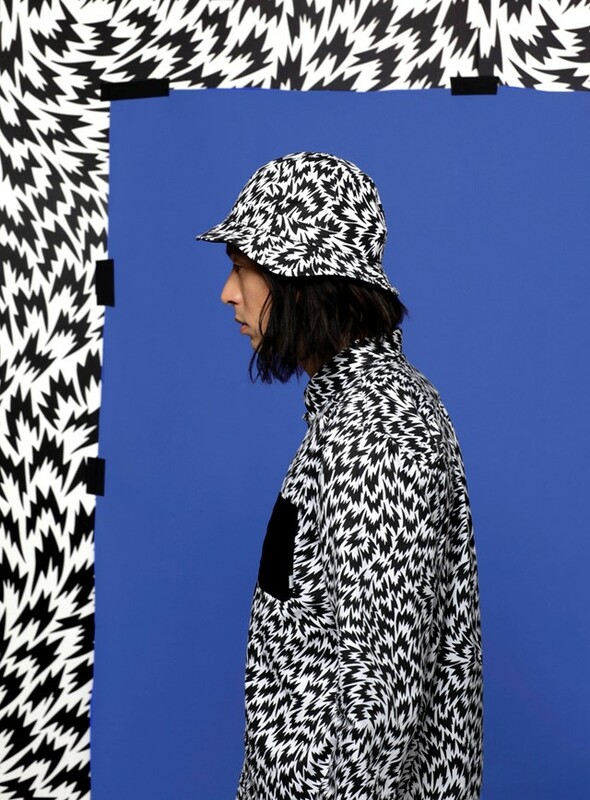 Together, Vans and Eley Kishimoto have created a new capsule collection complete with Lynchian black and white zig-zags, graphic flowers and warped arrow prints. For the pair, Vans x Eley Kishimoto marks a meeting point of two aesthetics, with them calling the collaboration a “super double culture”. It was a process that began with the idea of, in Kishimoto’s words, a “Patterned Tribe’s Urban Playground” and was soundtracked by Chopin, Szymanowski and constant grime in the home they share near their studio. The final result is a collection that transforms traditional Vans elements – reinterpreting the famous imprinted waffle board sole into a bright blue 3D feature and the iconic checkerboard print into a warped pattern. Comprised of both men’s and women’s pieces, it includes five of the brand’s iconic patterns in the form of reversible parkas, bucket hats and a new take on the classic Vans slip-ons. 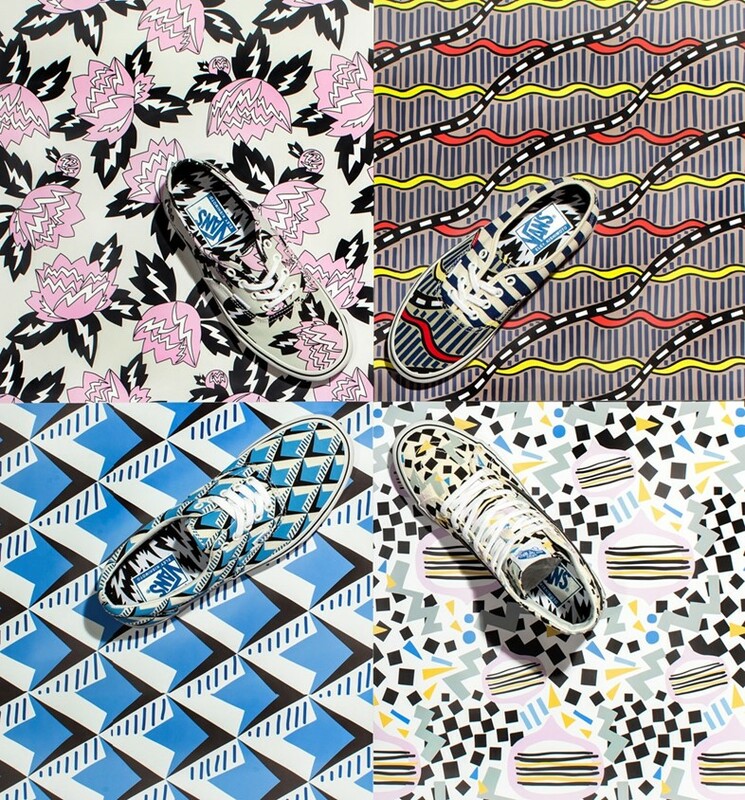 The Vans x Eley Kishimoto collection launches globally this month. This Saturday, the Old Vic Tunnels will host the first in a series of “Print the House” events to celebrate the collection. Visit houseofvanslondon.com to find out more.